Recently, I came across a puzzling set of photographs that had been added to the Find A Grave memorial that I created for Charlie Suwanee Dees. According to the contributor, Charlie had been married to one Jenny Bradley, siring the children who were staring back at me. This was news to me. What wasn’t news? Another example of how the open-community format of Find A Grave confounds the living by confusing the dead. Charlie Dees was Poarch Creek before there really was a Poarch to speak of. He was the son of Thomas Smith Dees and Ella Hollinger and the great grandson of Billy Hollinger, one of Andrew Jackson’s Indian scouts during the War of 1812. (Billy was raised by no less than Sehoy Tate Weatherford, she the mother of the infamous Creek warrior, Billy Weatherford.) By all the evidence, our Charlie lived his entire life in Monroe County, Alabama. In 1902, he married another Monroe native, Pauline Bell, and between 1904 and 1920 they had six children. He died in 1934. So who was this Jenny Bradley? The contributor’s post gave me little to go on, except that Charlie and Jenny had a son named Savoy. Plugging this information into Ancestry.com gave me (surprisingly!) a nice cache of documents. Savoy Dees was born 12 March 1900 in Carson County, Texas. 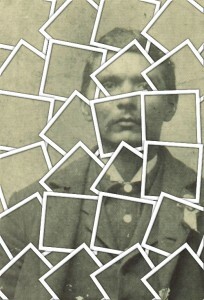 He appears in the 1910 U.S. Census, along with his parents, Charles and Jenny Dees of Panhandle, Carson, Texas. According to the census, Savoy’s father was born about 1872 in Kentucky. And this Charles (again born in Kentucky) makes an appearance with Jenny in the 1900 U.S. census for Panhandle. Mrs. Jenny Dees also applied for a passport in 1921. She averred that she was a native of Alvaredo, Texas and had been married to the late Charles Dees, a native of Kentucky. A supporting affidavit averred that her husband Charles had died some ten years prior to the application. As you have no doubt already surmised, none of this squares with the Charlie in my Find A Grave memorial. That Charlie appears with his parents in the 1900 U.S. census for Monroe County. Shortly afterward, he made application, as an Alabama resident, to share in the Eastern Cherokee Settlement and identified his wife, Pauline. He then appears with Pauline in the 1910 U.S. census for Mt. Pleasant (Eliska), again in Monroe County. So we come yet again to the old rule of thumb in genealogy: doveryai, no proveryai (trust, but verify). The strength of Find A Grave is its weakness: contributions can be made by anyone, anywhere; however, this includes folks who don’t understand the need for a proof standard. I’ve had exchanges with “gravers” who criticize my position that a memorial should report only what is on the headstone barring other supporting evidence. The typical response is that Find A Grave is not a genealogy site; rather, Find A Grave is about remembering loved ones. Fair enough. But should laudable sentiment trump accuracy? How is the genealogist to proceed? Here are some suggestions. Bring errors to the attention of the contributor. Find A Grave is a collaborative community. So be polite. 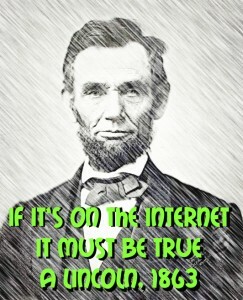 Be factual. In the case of the rogue family portrait, I let the contributor know that there were conflicts in the evidence and asked for any information that would correct a misunderstanding on my part. I’ve done the same for “flowers and notes” posts. Most people appreciate your concern. Ask for headstone photographs. Find A Grave is an incomparable resource when graves are photographed. Good photography eliminates any doubts about the reporting. If there isn’t a photograph, request it. Members of the Find A Grave community volunteer to provide this service and will usually trip over each other for the opportunity to do so. Keep in mind that these photographs are also copyrighted and the property of the photographer. All other photographs, be warned! See above. Provenance should likewise be a matter for concern. 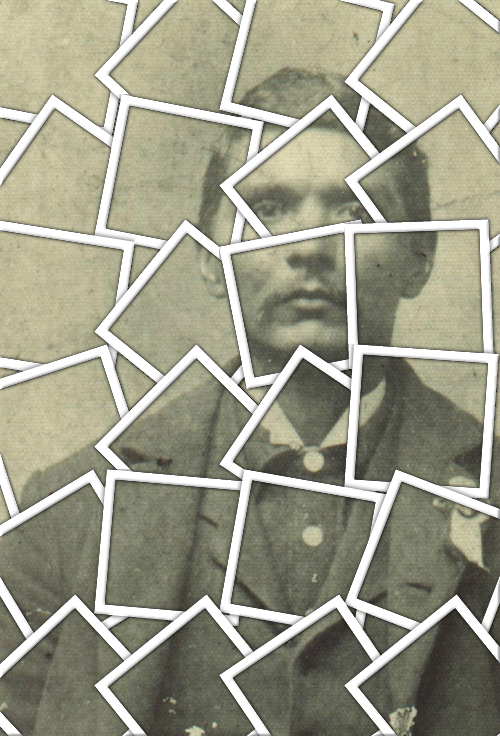 Old photos are as susceptible to misrepresentation as any other piece of evidence. I know researchers who have stopped sharing photos because others have re-posted their media in irresponsible and inaccurate ways. Check unphotographed Find A Grave memorials against surveys. Find A Grave memorials were created by people who actually visited the cemetery, right? Don’t count on it. Unfortunately, there are those that report based on secondary and tertiary sources of questionable reliability. Unless you stop in your tracks to contact the contributor, you probably will not know the difference. Unless, that is, you consult a survey. Rootsweb is a repository for this kind of work. Some cemeteries offer online burial databases. And there are, of course, books and monographs. All these offer the user some assurance that the information was collected by someone who went to the cemetery for the express purpose of creating an accurate record. Improve Find A Grave memorials. If you’re visiting a memorial that would be enhanced by an obituary that you have, or a death certificate, pension or interment record, attach it! Unmarked graves are particularly benefited by random acts of genealogical kindness. This entry was posted in Creek Indians, Find A Grave, Genealogy, Research. Bookmark the permalink. Excellent post John. We would all well to realize that trees, be it on ancestry.com or any other of the genealogy sites, are works in progress and that with diligent research, time uncovers truths-if we’re lucky. Over the years, I have gone back and forth between privatization and publishing my trees, and I’ve decided to leave it public with the caveat that people understand 2 things, i’ve been at this 40 yrs and there is no way I’m going back and putting pre-computer age info on there (I have neither the inclination nor time) and that I only use it as a “workspace”, my files are actually in paper form. I can’t wait to see what you post next. God bless you.